Currently enjoying a Ski trip with his family, Matt Wassall of MJ Experia Marketing has revealed the importance of giving back to those who support you. Mr. Wassall of Birmingham-based MJ Experia Marketing recently embarked on an exciting Ski Trip over the Christmas period. The business owner travelled to a luxurious Ski resort in Switzerland where he took on the slopes and enjoyed some time away from a busy business environment. MJ Experia Marketing’s Matt Wassall revealed that he took his whole family, as well as a couple of the firm’s top performing contractors, on the exciting Ski Trip and shared why he felt it was important to give back to those who have supported you. “I feel that success is defined by what you give back to those who have offered you support and encouragement throughout your journey,” shared Mr. Wassall. MJ Experia Marketing’s company culture is built on the premise of giving support and encouraging strong support networks. The firm strongly believes in ‘passing it forward’ – a premise which encourages people to do more good deeds and offer support to others. MJ Experia Marketing highlights how by helping others to be successful they, in turn, will go on to help others become successful and therefore the act of ‘passing it forward’ continues and leads to increasing success. MJ Experia Marketing gives back to their contractors for all of their hard work by providing not only regular opportunities for development but also travel opportunities, team nights, top prizes, and events on a regular basis. MJ Experia Marketing feels that not only does this help to motivate their individuals but it also leads to success for the firm as a whole. “The Ski Trip was an opportunity for me to give back to those who have supported me most on my journey as an entrepreneur, my family. As well as those who give me their best work and efforts every day, delivering top results for my business,” revealed Matt Wassall of MJ Experia Marketing. 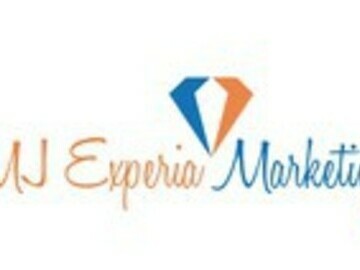 MJ Experia Marketing is an outsourced sales and marketing firm based in Birmingham. The firm specialises in personalised forms of direct marketing which allow them to connect with ideal consumers on a face-to-face basis. This one-to-one interaction with consumers helps the firm to drive long-lasting and personal business relationships between brand and consumer. In turn, this often leads to increased customer acquisition, brand awareness and brand loyalty for their clients. * For more information regarding media usage, ownership and rights please contact MJ Experia Marketing .